Then Kyrie Irving became unstoppable, James found his groove, and the Cavs left Quicken Loans Arena with a 3-1 lead in the Eastern Conference Finals. There are a handful of important things we can learn from Game 4. The first is that even bad LeBron is good. He had four fouls by the middle of the second quarter and finished the night with five turnovers. But even playing the second half with four fouls, James totaled 34 points, five rebounds and six assists while shooting 15-for-27 from the field. As Fox Sports’ Nick Wright noted, this marks James’ second-worst playoff game of the postseason, falling ahead of only an 11-point outing in Game 3 of this series. LeBron had 34-5-6 on 56%, while playing the 2nd half with 4 fouls. It was clearly his 2nd worst playoff game this year. Despite consecutive underwhelming performances, James is still averaging north of 28 points, six rebounds, six assists and two steals in the Eastern Conference Finals and 32-8-7-2 for the entire playoffs. 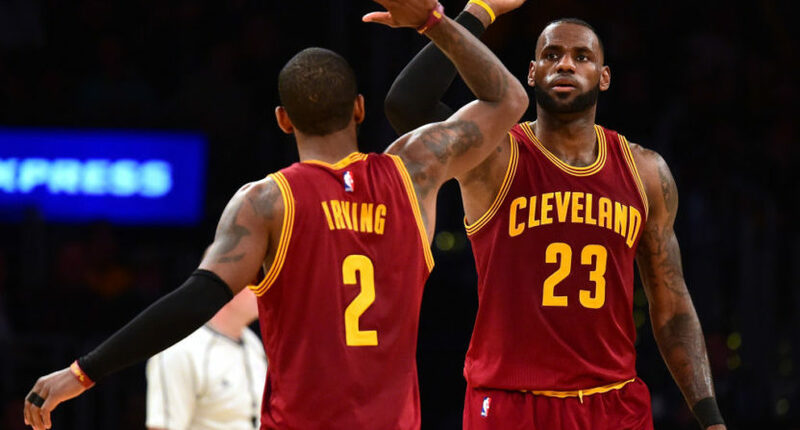 And Irving proved that he can carry this Cavs team when LeBron struggles. Despite rolling his ankle in the third quarter, Irving finished with 42 points, including a five-minute stretch where he dropped 19 in another playoff defining moment. When James left the second quarter with foul trouble, Irving also kept the Cavs close by scoring 12 points in the final 5:11 of the half. He had plenty of highlights, but this behind-the-back fake was absolutely filthy. After the Celtics took a 16-point lead midway through the second quarter, James and Irving reached a new gear, and Boston was doomed. From that point on, the Cavs duo outscored the Celtics, 60-50. Although the Celtics have been more competitive in the last two games without Isaiah Thomas, it’s worth noting that Thomas is an insanely great fourth-quarter scorer. The arguments that the Celtics are better without Thomas are ridiculous, and it’s obvious they could have used him during the fourth quarter of Game 4. It's almost like the Celtics miss Isaiah Thomas in the fourth quarter. We already know Thomas won’t be coming back this season. His hip injury could still require surgery. The Celtics made do without him in Game 3 as Marcus Smart uncharacteristically torched the Cavs from three and Avery Bradley received the kindest of rolls on his game-winning three. Maybe Boston can steal a win at home in Game 5, but the second half of Tuesday’s game erased any remaining doubt that this series will be over by Game 6.